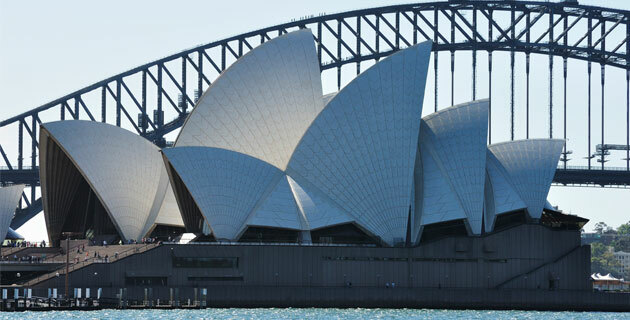 Small group touring and the Lands Down Under – they add up to a perfect combination as we travel from Australia’s spectacular Great Barrier Reef and the storied Outback to sophisticated Sydney; from New Zealand’s towering Mt. 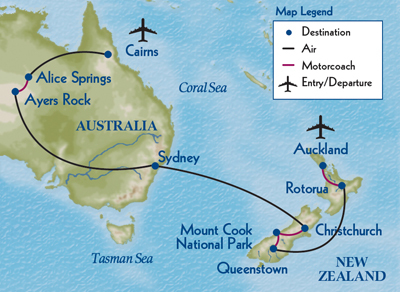 Cook and breathtaking Milford Sound to high-spirited Queenstown and nautical Auckland. Please call if your city is not listed or for land only prices. Prices are per person based on double occu­pancy and include airline taxes, surcharges, and fees of $389, which are subject to change until final payment is made. Single travelers please add $2,295 Jan-Mar; $1,995 all other dates. Your $375 deposit is fully refundable up to 95 days prior to departure. All 2019/2020 tour prices above (excluding airline taxes, surcharges, and fees) are guaranteed. Located in the heart of Cairns overlooking Trinity Bay, the 128-room Pullman Reef Hotel Casino offers three restaurants, a café, and three bars; Internet access; laundry and dry cleaning services; health club with hot tub, spa, and massage; unheated rooftop swimming pool; jogging track; casino; and gift shop. Air-conditioned guest rooms have private bath with hair dryer, in-room safe, mini-bar, TV, and phone. Adjacent to the Alice Springs Golf Course and a 10-minute walk to “Alice’s” major sights, the 236-room DoubleTree by Hilton offers two restaurants and a bar, gym, tennis courts, sauna and whirlpool, outdoor pool, internet access, and laundry and dry cleaning services. Air-conditioned guest rooms have private bath with hair dryer, in-room safe, TV, and phone. Please note that while the DoubleTree by Hilton is one of the best in Alice Springs, it may not meet the standards of the other hotels on your tour. Part of the Voyages Ayers Rock Resort complex, the 228-room Sails in the Desert celebrates Aboriginal heritage and culture through its décor and the on-site Mulgara Gallery of native art and crafts. Hotel amenities include several restaurants and bars, an outdoor pool, spacious grounds, complimentary Wi-Fi internet access, and laundry and dry cleaning services, while the greater resort complex offers a host of amenities, from three additional swimming pools and two tennis courts to a shopping complex, hair salon, and visitors’ center. A free shuttle bus operates continuously around the property. Spacious air-conditioned guest rooms have private bath with hair dryer, coffee- and tea-making facilities, private balcony or verandah, minibar, TV, and phone. Sir Stamford at Circular Quay stands in the heart of Sydney on historic Macquarie Street and in close proximity to the Opera House, Royal Botanic Gardens, and Sydney Harbour. Built in the late 1800s, the 120-room hotel features 18th-century Louis XV and Georgian antiques. Amenities include a restaurant and bar, Internet access, laundry and dry cleaning services, fitness center, sun deck, sauna, and outdoor heated pool. Comfortable guest rooms have private bath with hair dryer, coffee- and tea-making facilities, TV, and phone. Completely rebuilt, the Rydges Latimer Christchurch reopened in 2013. The 138-room hotel’s amenities include a restaurant and a bar/lounge, fitness center, and sauna. Air-conditioned guest rooms have private bath with hair dryer, complimentary Wi-Fi internet access, in-room safe, coffee- and tea-making facilities, mini-bar, ironing facilities, TV, and phone. Located inside Mt. 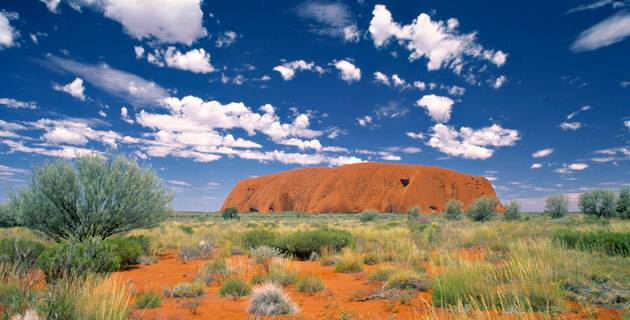 Cook National Park, The Hermitage Hotel offers a range of options for enjoying the park, from hiking to flightseeing. The recently refurbished (2011) 162-room hotel, which is part of the Aoraki Mount Cook Village of several hotels, has two restaurants, café, and lounge; Internet access; gift shop featuring native Maori crafts; and laundry facilities. Guest rooms have private bath with hair dryer, coffee- and tea-making facilities, TV, and phone. Nestled on a hillside overlooking Queenstown’s breathtaking lake and mountains, the alpine-lodge style 134-room Hotel St. Moritz is located just a few minutes’ walk from prime dining and shopping areas. Hotel amenities include a restaurant and bar, Internet access, laundry and dry cleaning facilities, fitness center, sauna, and spa. Air-conditioned guest rooms have private bath with hair dryer, coffee- and tea-making facilities, mini-bar, ironing facilities, TV, and phone. The newly refurbished Regent of Rotorua is a boutique-style accommodation located in the center of Rotorua, close to the city’s restaurants and pedestrian shopping street. Hotel amenities include a restaurant and bar, mini fitness center and spa, heated outdoor pool, indoor thermal mineral pool, and complimentary Wi-Fi internet access. Each of the 35 air-conditioned guest rooms have mini-bar, in-room safe, coffee- and tea-making facilities, microwave, TV, phone, and luxury linens and robes. The Grand Millennium Auckland sits in the heart of Auckland’s central business district, just a few blocks from Waitemata Harbour and a few minutes’ walk to the High Street shopping district and SkyCity casino. The bright, contemporary hotel features a soaring, light-filled lobby area, two restaurants and a bar; fitness center with indoor pool, steam room, and gym; complimentary Wi-Fi internet access; and laundry and dry cleaning services (for a fee). Air-conditioned guest rooms have private bath with hair dryer, coffee- and tea-making facilities, minibar, TV, and phone. Enjoy additional time in the sparkling “City of Sails,” at your own pace. The intrepid, ever-resourceful Bill Bryson revels in Australia’s eccentric characters, dangerous flora and fauna and other oddities in this wildly funny, effortlessly informative travelogue. Historian Thompson effortlessly alternates tales of mostly disastrous early encounters with the Maori and the story of the love of her life, Seven, the Maori she married, in this endearing memoir. A thoroughly illustrated travel guide by National Geographic expert and adventurer Roff Smith, who has written extensively about his travels in Australia. This superb guide features color photography, dozens of excellent local maps and a region-by-region overview of attractions. A handy, folded map at a scale of 1:3,500,000. A detailed map at a scale of 1:1,000,000, printed on handy tear- and water-resistant paper. A brisk portrait of New Zealand and its culture, economy and society, this concise history also covers the settlement of the Pacific Islands. In this celebrated social history, both scholarly and entertaining, Hughes traces the fate of those who were transported to the penal colonies of Australia between 1787 and 1868. It’s an engaging popular account, drawn from the experiences of the colonists themselves. McCalman, a historian at the University of Sydney, brings to life the explorers and scientists, beachcombers, divers, indigenous peoples and castaways who first experienced the Great Barrier Reef. Rory Stewart provides the introduction to this 25th anniversary edition of Bruce Chatwin’s celebrated travelogue. Chatwin transforms a journey through the Outback into an exhilarating, semi-fictional meditation on our place in the world. The peripatetic author flies off to Australia and New Zealand with a kayak and ends up exploring much of Melanesia and Polynesia, including Tonga, Fiji and the Marquesas, in this wickedly funny, wide-ranging tale. This epic history of Australian art begins with early aboriginal paintings from the 1800s and leads up to contemporary works by modern artists, exploring the inescapable link between the dramatic landscapes and the art scene. This well-illustrated survey focuses on the spiritual and geographic sources of art and ritual traditions in Australia. With 187 well produced black-and-white and color illustrations. The true-life story of a woman’s trek across the Australian Outback – an adventurous tale shot through with a feel for the landscape and empathy for the Aborigines she meets along the way. 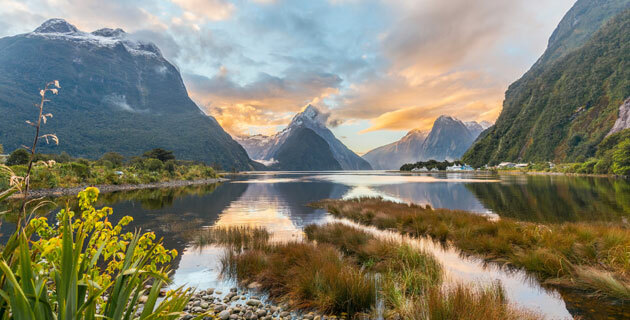 In this far-ranging travelogue, Masson (who wrote a series of books on the emotional lives of animals) combines his travels and tales with history, riffs on the kiwis, nature and society. A vividly descriptive account of a woman’s experiences as a cattle rancher at the Stilwater cattle station in Queensland; de Grenade contrasts the startling, pastoral beauty of the land and wildlife with the harshness of ranch life. Arranged geographically, this collection of works by mostly local writers, including Patrick White, Peter Carey and other luminaries introduces the cultures, geography and mindset of Australia. Set on the South Island, this powerful novel brings together three troubled individuals who represent Maori and European traditions in contemporary New Zealand. Murder and mystery in 19th-century New Zealand. This epic and intricately constructed tale – spinning out over 800 pages – is set during the wild days of the 1866 gold rush on the west coast on South Island. It’s just over Arthur’s Pass from where Catton was raised in Christchurch. This take-along guide covers coral reefs, fish, invertebrates and plants of the Indo-Pacific and includes 200 color photographs. The revised compact edition of the classic field guide, featuring 74 color plates by Derek Onley. A handbook and field guide to Australia’s birds with 2,000 vivid color illustrations, each accompanied by a brief description and revised range map. A double-sided, laminated card covering the reef fish of Australia, Papua New Guinea and the tropical Pacific. Jill Ker Conway grew up on an 18,000-acre tract of land in the Australian outback, worked on her family’s farm from the age of seven, and grew up to become the first female president of Smith College and a visiting professor at MIT. This stirring memoir captures her life in Australia beautifully, and paints an evocative picture of this windswept, often unhospitable land.